My Proper Size: Bauer 1S/1X XL (36), CCM Eflex 3 35, Simmons 997 36, Warrior G2 35. This was a demo set sent to a local store. 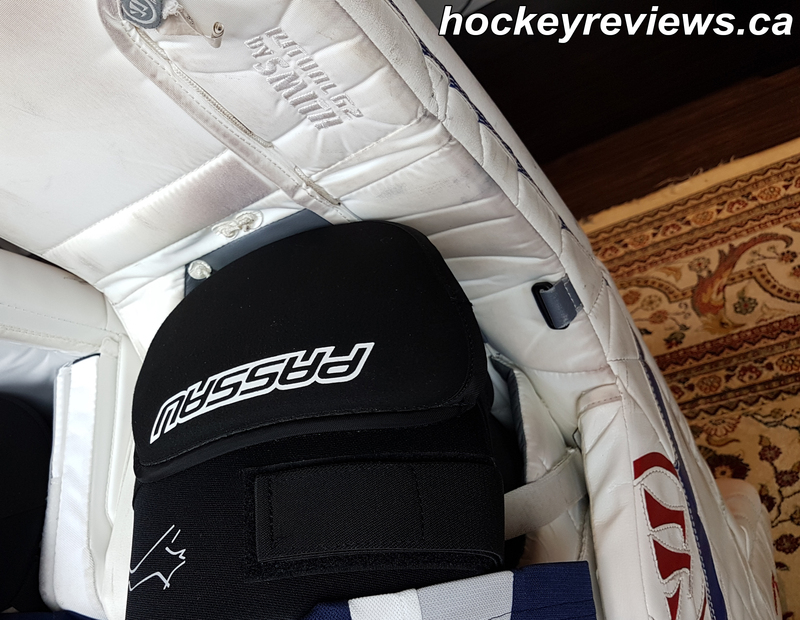 I did not pay for the gear but CCM did not supply the gear to me to write a review. Pad History: Battram Fury Retro, Bauer Scott Munroe Pro Return X60/One95 36+1, Bauer Scott Wedgewood Pro Return X60 skinned as RX10s 36+1, Simmons 997 36+2, Mike Condon Warrior G2 Custom Pro 34+2, Koho 588 RPM 35+2, CCM Eflex 3 34+2. Do they required knee pads? First off these pads are a demo set from a local store. They are 34+2 and I require a 35” pad from CCM. These pads are also bone stock and my thoughts will be based on these pads which are a bit small. Initial Thoughts: CCM/Reebok/Koho pads always had the stigma of being heavy and out of date pads. They generally didn’t push the boundaries with new technology or features and yet were always one of the most popular pads in the NHL and in retails. The saying “if it ain’t broke don’t fix it” seems to apply decently well to the Lefebvre designed pads that now wear the CCM label. 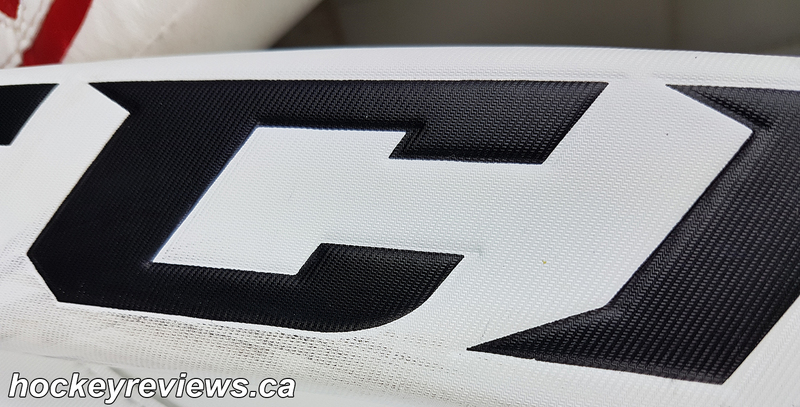 While these CCM Eflex 3 pads don’t have fancy new style of graphics, they have cut the weight from the previous Eflex 2 generation of pads down and wrapped the Eflex 3 in CCM’s new Speed Skin material. 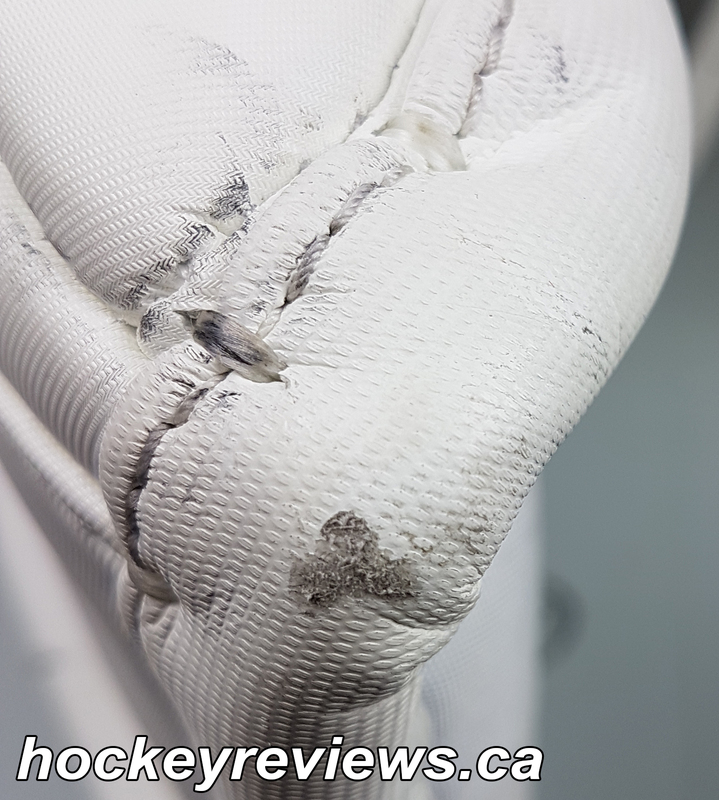 Speed Skin is similar to standard Jenpro (people have stated it is the same material but a different texture) that feels like it has grooves and thus a raised surface which ends up causing less material to touch the ice and theoretically makes the pads slide better because of less friction. 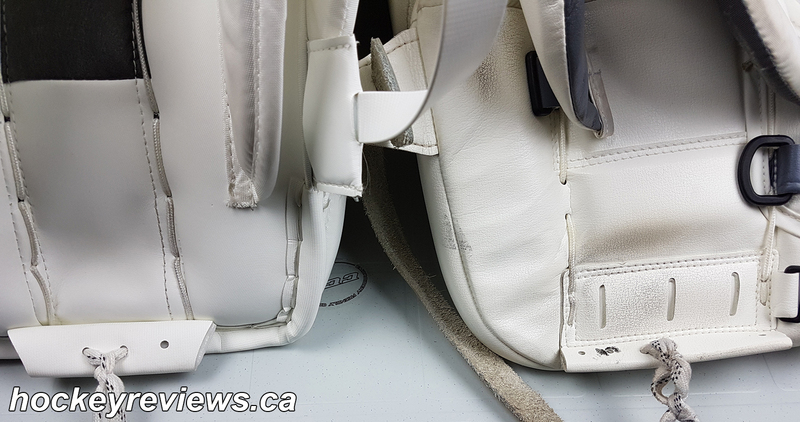 The pads have become more barebones with standard nylon lining the knee and leg channel instead of thicker and heavier materials and CCM cut down the number of straps as well. Picture of the new Speed Skin material and different binding material. Comfort: CCM customization allows you to select softer knee options for a more comfortable construction. 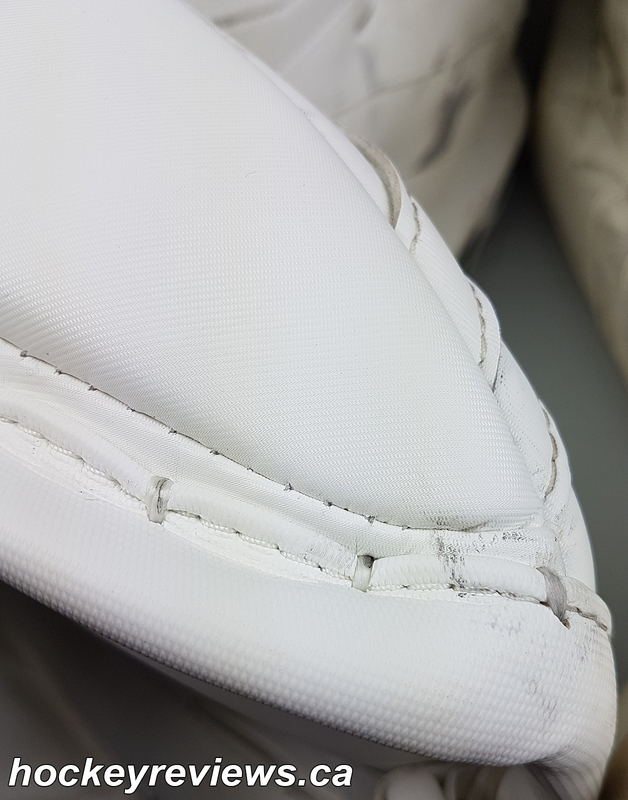 These stock Eflex 3 pads removed the softer knee construction in previous generations. While the knee block is a made up of a hard foam, the combination of my knee pads and the softer suregrip layer caused no issues during my play time. I wish I would’ve been able to play multiple games back to back to get a good sense of the knee block. 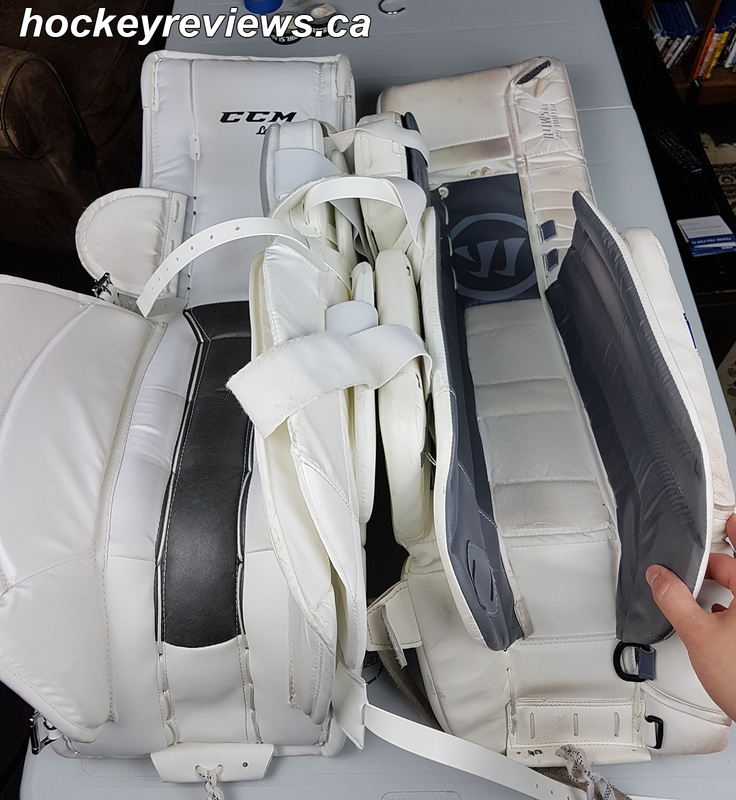 My original strapping setup gave me some issues with how the pads fit and felt on my leg. I originally strapped the calf strap too tight, which caused the pad to sit on my leg at an awkward angle. While this isn’t painful it is certainly awkward and uncomfortable, getting the strapping dialed in remedied this issue for me. The only other room for concern for me is the thigh rise, which is thicker than pads I have been used to and combined with my thick knee pads caused some issues when they overlapped. Showing the more open knee cradle on my Warrior Ritual G2s. 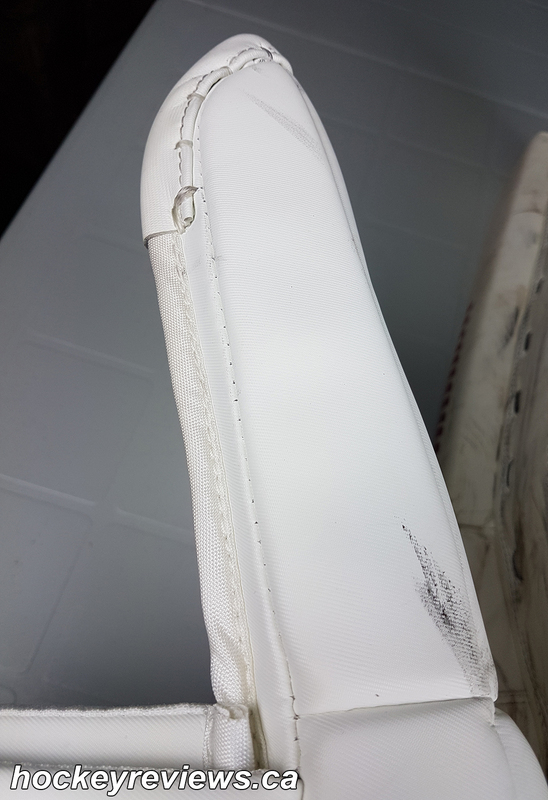 Strapping: CCM has been said to be behind the times in pad design, and strapping is a category that CCM is still catching up to other more innovative companies and designs. 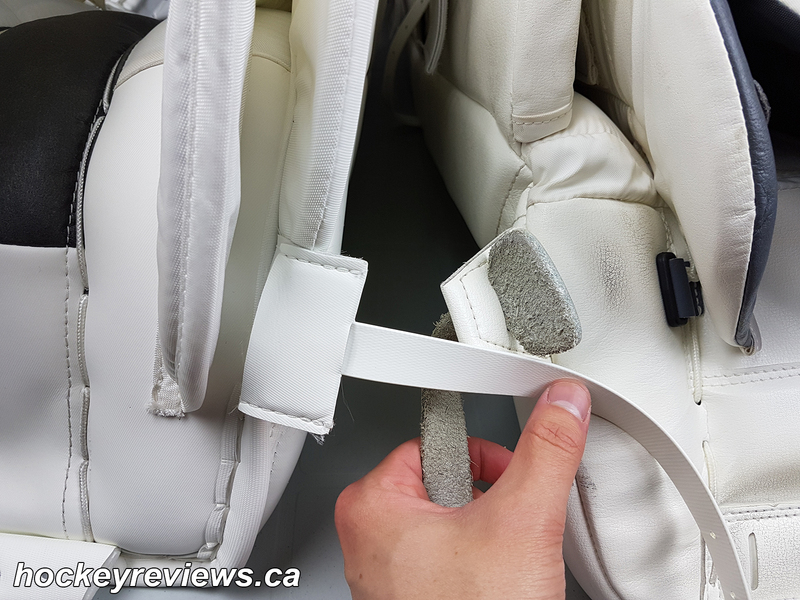 These CCM Eflex 3 pads still have traditional buckle leather(ish) straps at the knee and boot/ankle while using wide elastic on the knee and calf replacing the more traditional leather strapping of the Eflex 2s. 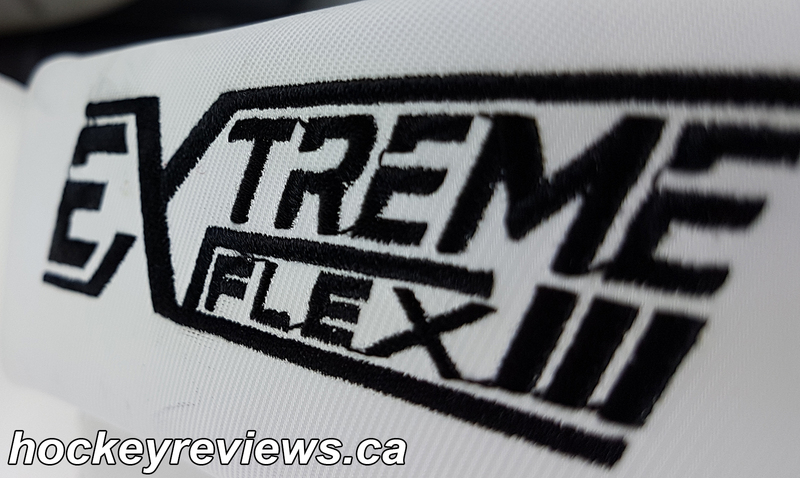 While customizing the Eflex 3s, CCM offers 2 different styles of straps. 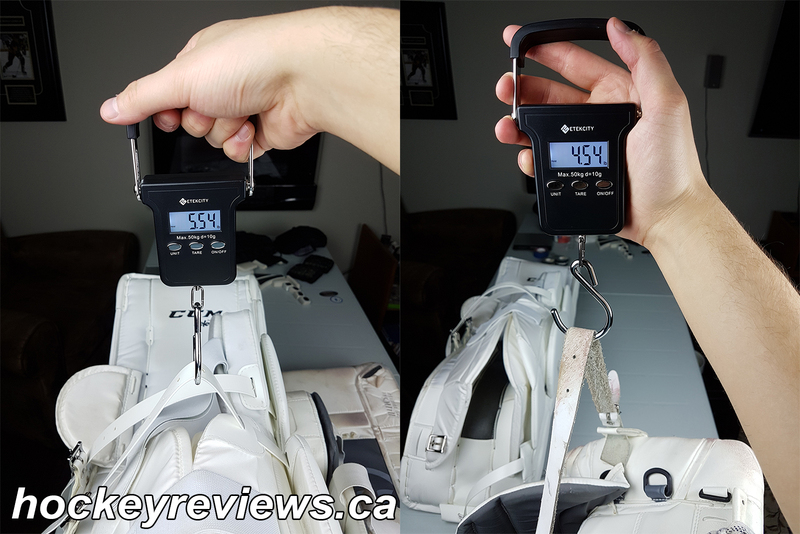 White leather and CCM’s new QK5 straps in 5 different colours (white, black, red, navy, and royal). The QK5 straps are thinner, lighter and more stiff than traditional leather style straps. The feel like a plastic like material, but don’t necessarily feel cheap and I welcome these new lighter style of straps. Unlike other brands, CCM does not offer a new style of stretchy lacing or toe ties. 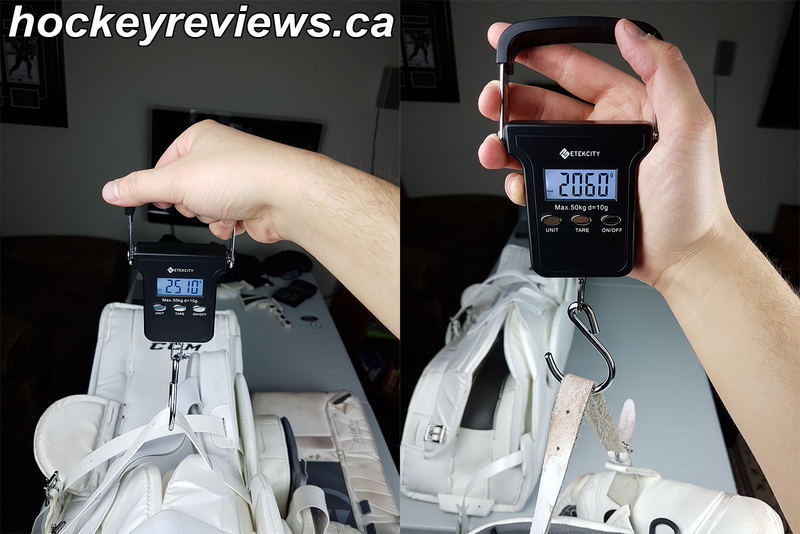 The traditional straps are removeable in the boot/ankle and knee, but removing the boot straps is much more frustrating and annoying compared to the simple system on my Warrior Ritual G2s. 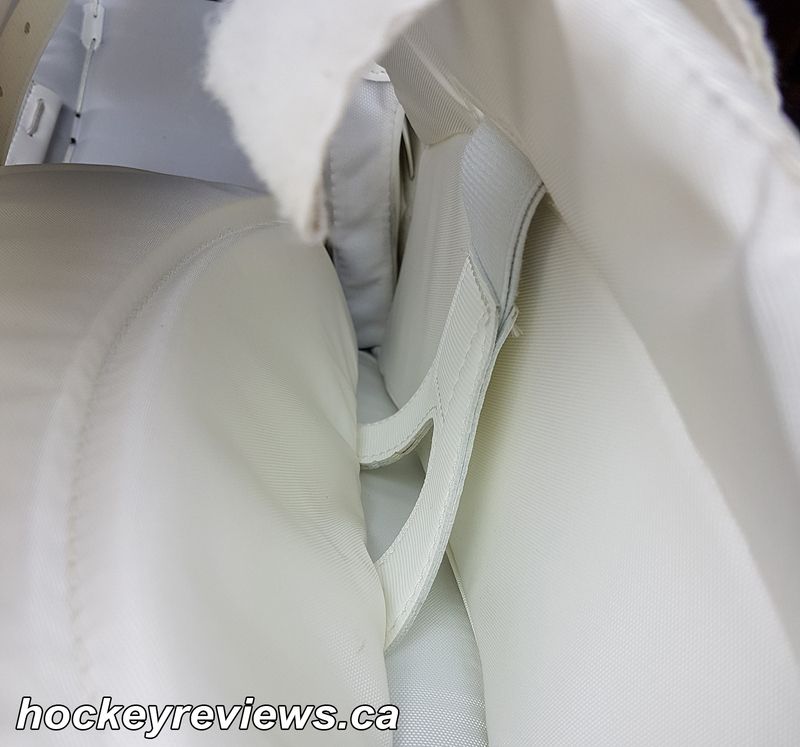 The straps on the CCMs are attached to a piece of plastic that is tucked tightly into a flap on the boot. I never tried to fully remove the bootstrap as I was worried I wouldn’t be able to get it back in for the next user. Durability: With my limited usage and not knowing the history of these pads I cannot comment on the durability of the CCM Eflex 3 pads. I can say the Suregrip layer on the knee block still looked new with little wear. 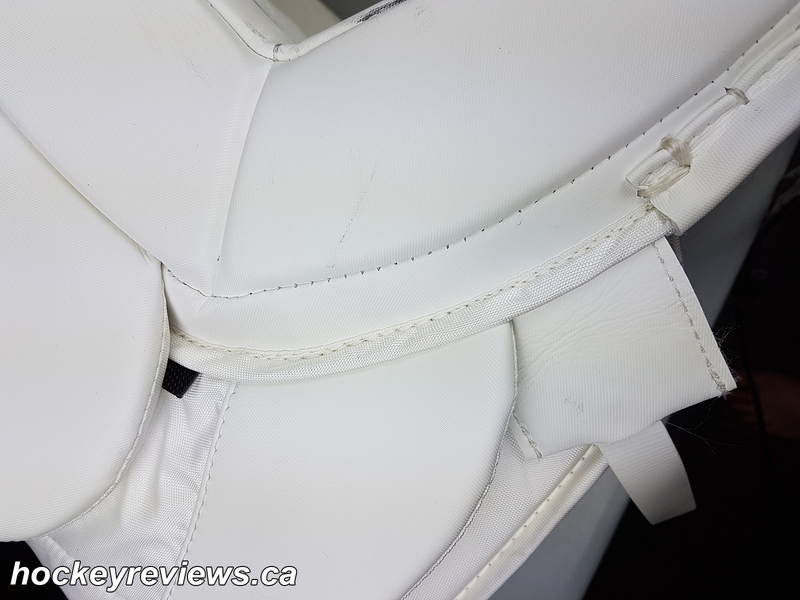 I did notice some binding wear on the thigh rises where the two pads rub against each other, the wear bar in this area is a different material than the new Speed Skin and is somewhere I’d watch for. 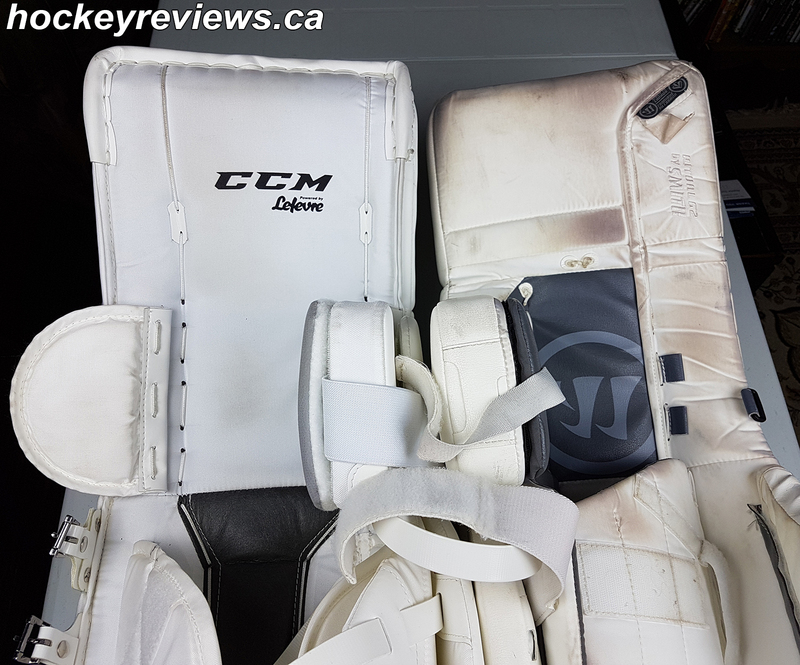 I didn’t see any signs of the famous CCM premature knee block wear, but again I didn’t have enough time with these pads to see if that is still an issue. Protection: One of my issues with some modern pad design is the lack of leg and foot wrap, while I understand you are not supposed to get hit in these areas, I appreciate the extra protection and wrap. CCM does a great job of really enclosing your leg and ensuring your ankles are still covered by the outer and inner calf wraps. I am a huge fan of this style and design. 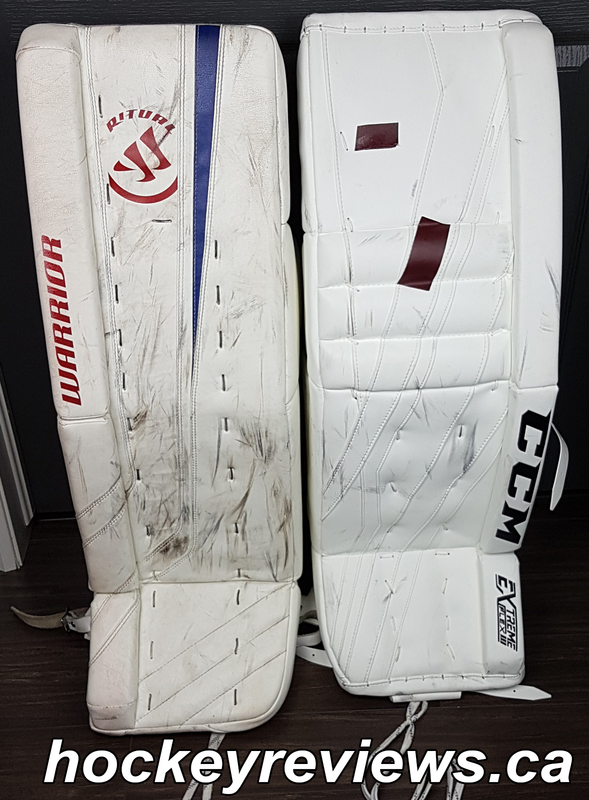 Sliding Ability: The past few years the goaltending community has seen some remarkable improvements to pad design and technologies that have created quicker sliding pads, the transition to my Warrior Ritual G2s was the first time I realized a pad could actually make a difference. Moving to the Koho 588 made me realize why goalies would sacrifice sliding ability for the feel of a Lefebvre style of pad. CCM introduced and advertises their new Speed Skin technology with their “Slide with Speed” slogan. From my experiences with the Koho 588, I had my doubts that the Eflex 3 would be even close to the sliding ability of my Warrior Ritual G2s. I am pleasantly surprised to report that the Eflex 3s are the real deal, and while I am not sure if the increase in sliding ability is attributed to the Speed Skin material or how the Eflex 3 are constructed I can say they are the best sliding pads I have used and surpassed my Warrior G2s. Mobility The width of my Passau kneepads caused the CCM Eflex 3s to sit at an angle on my leg, something that I am not completely comfortable with. This caused the thigh rises to overlap and interfere with each other and ultimately causing me to change my stance and movement to a more unnatural (for me) style. 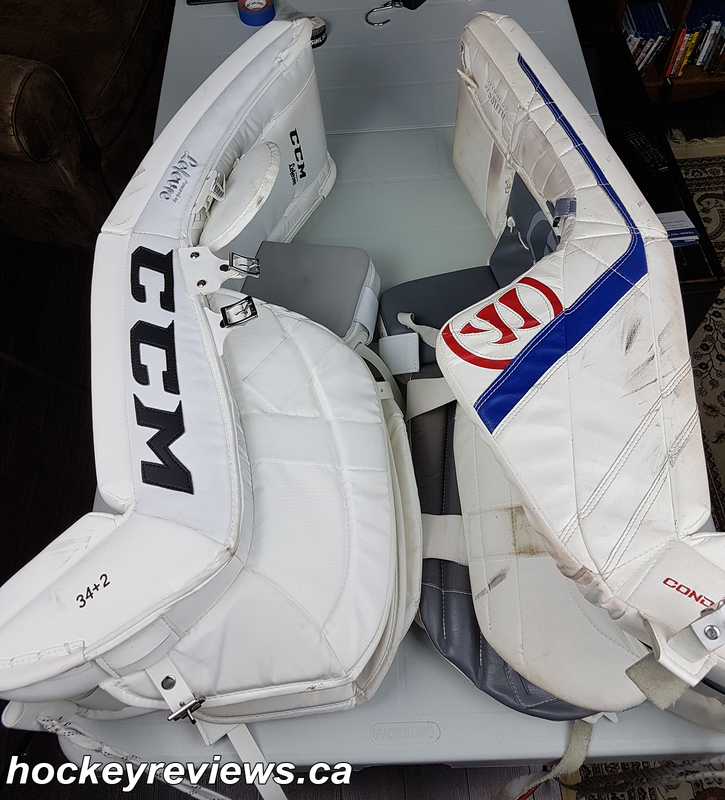 With that said, the softer style of pad and thigh rise made moving while in the butterfly, and along the posts significantly better than with my Warrior Ritual G2s. The pads felt more connected to my and less boxy, making sliding while on the ice more natural feeling compared. I would describe sliding in the Warriors feeling like sliding inside a stiff 3-sided box, where your legs pushes them in certain directions but they never really feel like an extension of your leg. The Eflex 3 are completely different in that manner, they truly feel like they are an extension to your leg while moving and flexing exactly how you want them too. 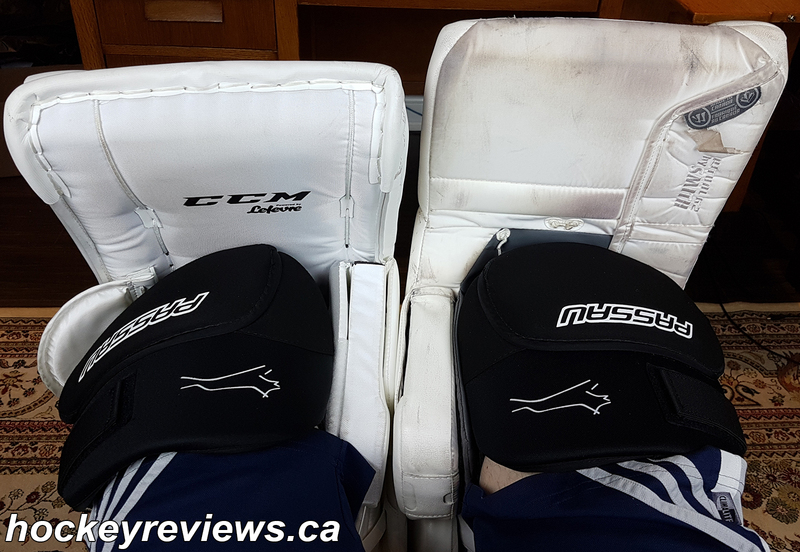 If I could get the pads to sit straighter on my leg while still wearing my larger knee guards the Eflex 3 would feel perfect, but for me I’d prefer the pads to sit straighter before working better sliding on the ice. 7/10 (All of my issues outlined here are just because of personal preference. I know people who would prefer how these pads are made and sit on your leg). Intangibles: On the CCM Premier pads CCM did a nice job of adding their logos onto the elastic calf and knee straps. 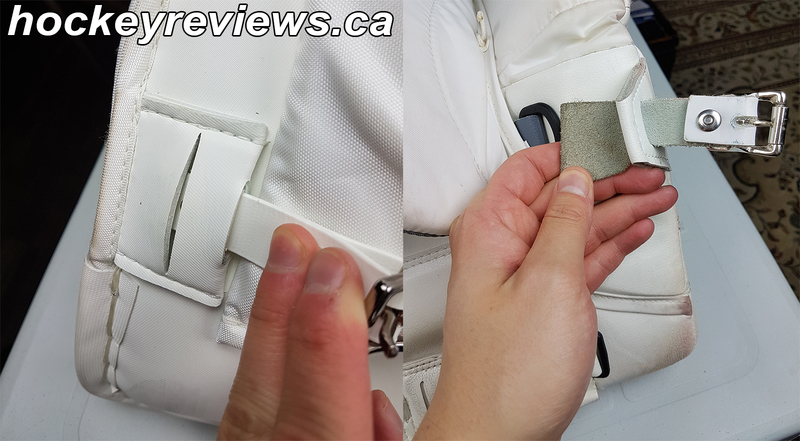 Small touches like these give the pads an overall higher quality of feel by showing off branding and making thicker straps to grab onto. Some people have had issues with Pad Skinz or Pad Wrap sticking to the Speed Skin, these pads came with some wrap and were stuck on well, but I did not test the pads out with the wrap on them. Unfortunately this design choice did not carry over to the Eflex 3 pads. 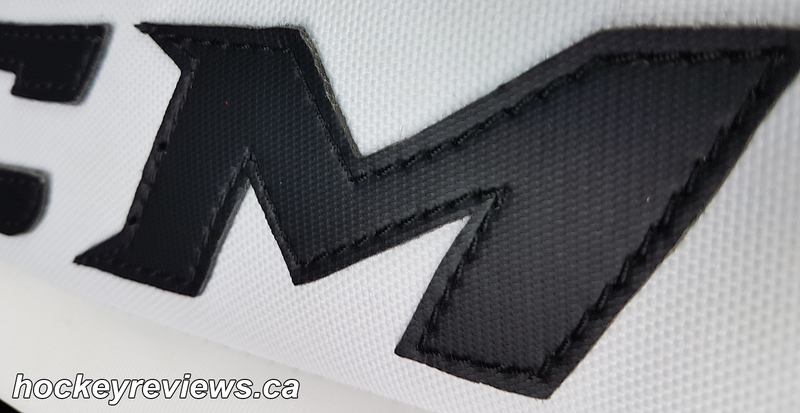 The front logos are no longer sewn or embroidered into the outer roll, but instead embossed into the material with a screened on text for colour. It looks and feels a bit cheaper than before but is better than recent offerings from Bauer. 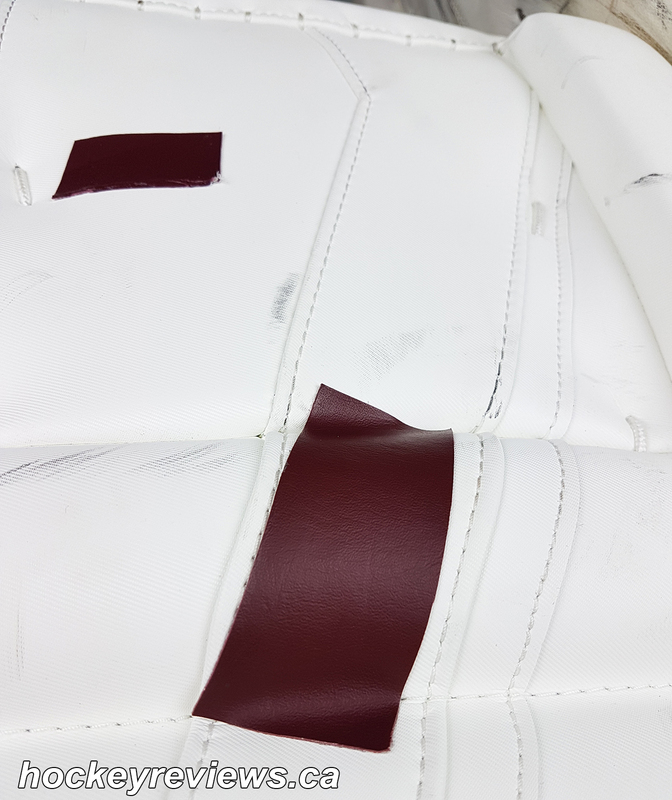 Just like the CCM Super Tacks Pants, the CCM logo on the side gusset of the pads is made up of an interesting textured like leather material. 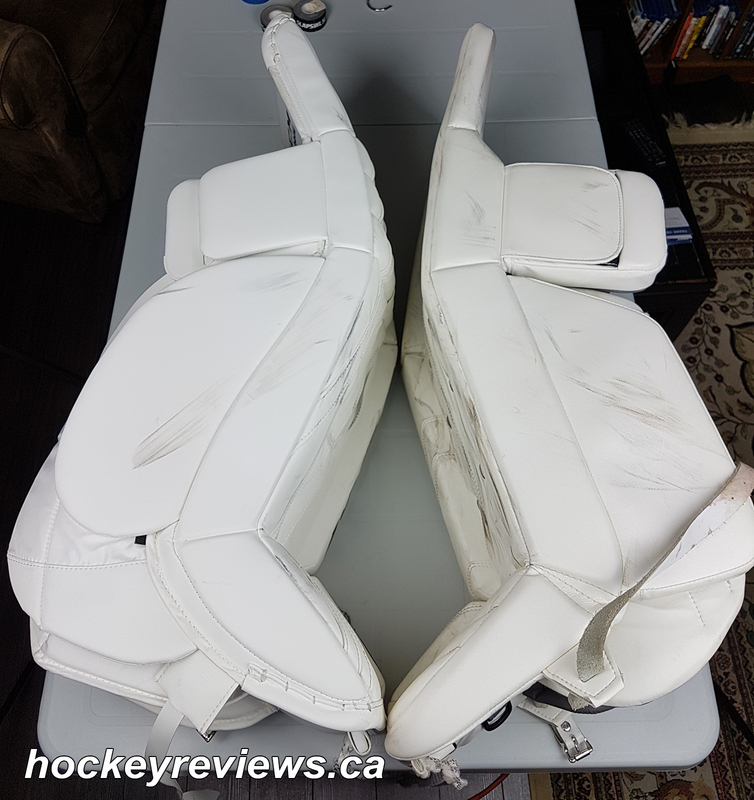 Make sure you check out the review for the matching blocker and catcher here and on my YouTube channel.